Lipe (pronounced [ˈliːpɛ]) is a settlement in the marshland south of Ljubljana in central Slovenia. It belongs to the City Municipality of Ljubljana. Traditionally the area was part of the Lower Carniola region. 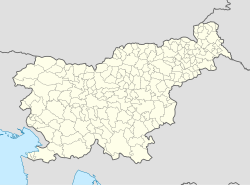 It is now included with the rest of the municipality in the Central Slovenia Statistical Region. This page was last edited on 24 March 2017, at 13:31 (UTC).